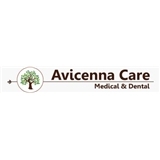 Avicennacare (New York) - Book Appointment Online! He saw despite me being extremely late!!!! Thorough, pain-free cleaning with a calm, reassuring bedside manner.